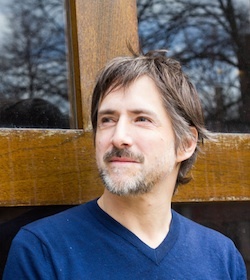 Joshua D. Pilzer is Associate Professor of Ethnomusicology in the Faculty of Music at the University of Toronto. Born in Vancouver, he grew up in Nashville, Tennessee as a popular musician. He earned his bachelor's degree at the Evergreen State College in interdisciplinary studies, and degrees in ethnomusicology from the University of Hawai'i (MA) and the University of Chicago (PhD). His research focuses on the anthropology of music in modern Korea and Japan, and the relationships between music, survival, memory, traumatic experience, marginalization, socialization, gendered violence, public culture, mass media, social practice and identity. He is particularly interested in the ethnography of the “everyday,” and in both theoretical and analytical approaches to the thresholds which link music to other forms of social expression. His first book, Hearts of Pine, about singing in the lives of Korean survivors of the Japanese “comfort women” system, was published in 2012 by Oxford University Press. Since 2011, he has been doing summer and research-leave fieldwork for an ethnography of music and song among Korean survivors of the atomic bombing of Japan, which will be his second book project. He has published articles in Ethnomusicology, Dongyang Umak Yeonggu, and The Courtesan's Arts: Cross-Cultural Perspectives (New York: Oxford University Press, 2006). At the U of T he teaches graduate seminars on music and everyday life; the social poetics of music; music, culture, and health; the music anthropology of the imagination, and others. 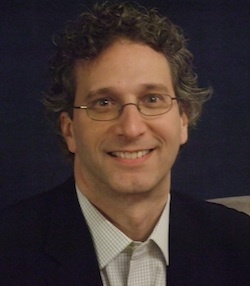 Jeff Packman is an Assistant Professor of Ethnomusicology, and began teaching at the University of Toronto in 2007. He developed his interest in Brazilian music while a free-lance drummer in Los Angeles performing and recording with various rock, jazz, blues, and “Latin” fusion artists. It was also during this period that he first heard the term “ethnomusicology” — a discovery that inspired him to pursue his MA (2001) with Deborah Wong and René Lysloff at the University of California, Riverside, and the PhD (2007) at the University of California, Berkeley, where he studied with Bonnie Wade, Ben Brinner, and Jocelyne Guilbault. His research on professional musicians and cultural politics in Salvador da Bahia, Brazil, has appeared in several journals including Black Music Research Journal, Ethnomusicology, and Latin American Music Review. His most recent article was published in Ethnomusicology Forum and is the first of several that examine various manifestations of samba de roda, an Afro-diasporic music and dance complex from Bahia, Brazil. 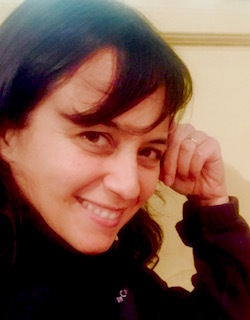 The fieldwork for the samba de roda project, which was supported by a multi-year grant from SSHRC, was done in collaboration with two dance researchers and a Brazilian ethnomusicologist. In addition to studying Brazilian percussion while in Bahia, Jeff became an avid student of various string instruments including 6 and 7 string guitars and cavaquinho. 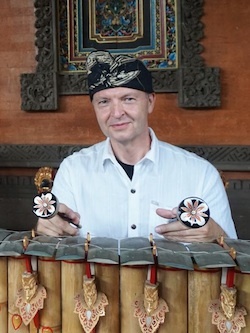 Annette Sanger's interests lie in Balinese and Javanese gamelan and related performing arts, music and tourism, ritual, and in music and healing. She also directs our Balinese gamelan Semar Pegulingan ensemble. She performs gendèr wayang with the ensemble Seka Rat Nadi. Her publications include “Gamelan Manikasanti: One Ensemble, Many Musics,” with I Wayan Sinti (Asian Music 2006). Ken McLeod has researched and written extensively on popular music culture and society . His recent book We Are The Champions: The Politics of Popular Music and Sports (Ashgate, 2011) examines the role of sports and popular music in constructing racial, gender, ethnic, socio-economic and national identities. He also researches issues surrounding technology and identity politics in Japanese popular music. Robin Elliott is Jean A. Chalmers Chair in Canadian Music. He has published extensively on Canadian music, including articles on The Guess Who and Shania Twain. His work is noted for its ethnomusicological orientation, and his co-edited volumes include Music Traditions, Cultures, and Contexts (Wilfrid Laurier University Press 2010) and Centre and Periphery, Roots and Exile (WLUP 2011).